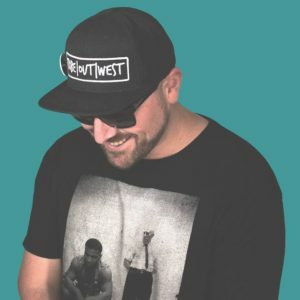 Donald Thump is a DJ and producer who has rapidly established himself in the underground house and techno communities of San Diego and Los Angeles. His relentless passion and love for the music festival scene and the tracks that he shares are contagious. An acclaimed teller of stories when he is not on the decks, Donald Thump’s sets and mixes are sure to take his audience on a deliberate journey from start to finish. With heavy basslines, seductive samples, dark menacing synths, and funky psychedelic elements, his music has a distinct sound that has grabbed the attention of the growing web of house/techno fans in Southern California and abroad. Among the most significant influences on his music are Dubfire, Justin Martin, Maceo Plex, Pleasurekraft, Victor Ruiz, Claude Vonstroke, Green Velvet, Coyu, Eats Everything, Seth Troxler, The Martinez Bros., Cirez D, Joeski, Olivier Giacomotto, Hot Since 82, Gene Farris, Kill Frenzy, Thomas Schumacher, and Kyle Watson. While he spends most of his time at home in sunny Southern California, Donald loves to travel and has enjoyed recent opportunities to bring his music across state lines and overseas. Most notably, Donald Thump played a three-hour set at Paloma, Iceland’s premier house/techno venue in downtown Reyjkavik. He has played several venues in Costa Rica, including Aqua Nightclub, and he held a guest residency for three nights at Don Mezcal, during BPM Festival. One of Donald Thump’s greatest memories thus far was at the magical Genius Loci Festival in June 2016 where he played a two-hour set to close out the main stage. Along with producing more music, President Thump is focused on playing more festival sets, and he will be playing Boogaloo Music Festival at the end of April 2017. Donald Thump’s first original “Half Strip”, a collaboration with Susio, gives us a glimpse of his sound as a producer. His latest track, “Infrared”, will be released on the Tribe Out West Complilation at the end of March.